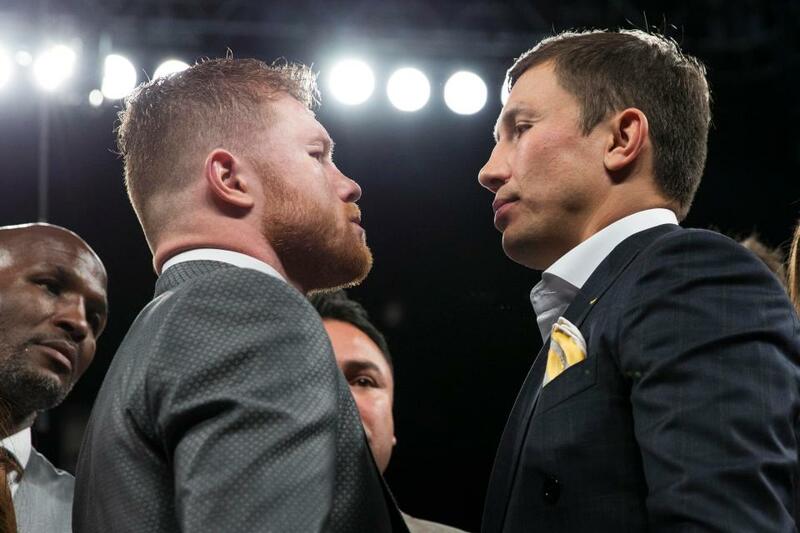 With Floyd Mayweather Jr. vs. Conor McGregor out of the way, we have just over two weeks until boxing’s biggest "fight" of the year: Canelo Alvarez vs. Gennady Golovkin. On September 16, the two gladiators will put the talk to rest and the gloves on blast at T-Mobile Arena in Las Vegas in a battle for middleweight supremacy, and potentially for a spot atop boxing’s pound-for-pound list. To kick off the promotion, Alvarez and Golovkin participated in open workouts earlier this week at L.A. Live in downtown Los Angeles. “I’m stronger, faster,” Alvarez told FightHub TV. “Speed will be a big factor – an important factor in the fight." Alvarez (49-1-1, 34 KO’s) might be only 27 years of age, but in his 12 years of professional boxing, he has fought some of the best in the world. His only defeat came to Mayweather on points in a 2013 junior middleweight world title fight. Although he lost nearly every round in the bout, Canelo still managed to land 117 punches, which was still impressive. His promoter, Oscar De La Hoya, of Golden Boy Promotions, connected on 122 blows in a split-decision loss to Mayweather, in 2007. Alvarez, 27, of Mexico, is coming off a shutout decision victory on May 6th of this year over former world champion Julio Cesar Chavez Jr, who refused to show up. Now, he will face one of the most feared boxers in the sport in his first fight at the middleweight limit of 160 pounds. He held the WBC middleweight title briefly before vacating it after he was mandated to fight the Kazakh following a brutal knockout of Amir Khan last year. That bout was held at a catch-weight of 155 pounds, which was also the case against Miguel Cotto. Alvarez also has one distinct advantage for which Golovkin is not as superior; his counter-punching. It's no secret that Golovkin has looked a little reckless in his last couple of fights and that could play right into Canelo's hands. “I have intelligence, and you have to be precise of when to land your punches, so they are the same power wise like his or stronger,” he added. Golovkin's power, however, cannot be ignored, and if Canelo takes too many hard punches, he could tire down the stretch. But, he's looking very confident about their upcoming fight, which could be a Fight of the Year candidate. It'll be a tall task in some regard because Anthony Joshua and Wladimir Klitschko put in one of the most memorable heavyweight title clashes in history, dating back to Klitschko-Lewis, in 2003.